University officials search for solutions as binge drinking endangers campus life. Drunk, disoriented, and bleeding from severe facial lacerations after falling down a flight of stairs, an 18-year-old Wabash College freshman was carried to a bed by his Delta Tau Delta fraternity brothers in October 2008. But all hopes he would “sleep it off” ended the next morning when the horrified group of college students in Indiana found the freshman dead. The “brave man of untold gifts and promise,” as one person would later describe him, died from alcohol poisoning. He was found to have a 0.4 blood alcohol level, which is five times the legal threshold for intoxication. And one night in October 2010, a drunken St. Ambrose University junior, 20, attempted to cross a rain-slicked, notoriously hazardous street. Her life was cut short with a “sickening thud,” friends later reported. Her blood alcohol level was three times the legal limit in Iowa. Ironically, the car’s driver, 36, was also intoxicated. Similar tragic incidents involving college students regularly generate headlines. Although excessive drinking has long been part of college life, researchers today are sounding the alarm over a disturbing new culture of “extreme drinking”—one in which getting trashed, smashed, sloshed, slammed, hammered, hosed, blitzed, and bombed out of their mind is a way of life for millions of Gen Yers. What this national pastime portends for their future, their family’s future, and the future of our nation has concerned officials who are scrambling for answers. Generation Y (those aged approximately 15 to 30) as a cohort is no more monolithic than are baby boomers or Gen Xers. Labeling an entire group as binge drinkers based on the alcohol abuse of the minority—even a sizeable minority—is unwarranted. That said, observers might find it difficult not to be astonished by today’s heavy drinking zeitgeist. • In 2001, the Harvard School of Public Health College Alcohol Study found that 44% of the nation’s college students drank at “binge” or “heavy binge” levels during the previous year. • Each year, while intoxicated, approximately 1,700 U.S. college students die and 600,000 are injured, the Higher Education Center for Alcohol and Other Drug Abuse and Violence Prevention reported in 2007. • An estimated 160,000 freshmen will drop out of school because of alcohol or drugs, according to the CORE Institute. • Nearly one in three college students meet the DSM-IV criteria for alcohol abuse, according to information presented in Treatment of Drug Offenders: Policies and Issues (2002). According to the Centers for Disease Control and Prevention (CDC), college students who binge drink are 14 times more likely to drive impaired than those who do not. Of this group, about 50% drove drunk after consuming seven or more drinks and 25% after 10 or more drinks. In addition, in 2002 the National Household Survey on Drug Abuse documented the binge-shaping college culture by noting that, compared with their same-age peers not enrolled in college, college students drank in binges and drove while impaired significantly more frequently. So what is binge drinking? Public health officials define it as drinking to the point of intoxication, a legal threshold set at a 0.08 blood alcohol level and equivalent to a man consuming five or more standard-sized drinks or a woman consuming four or more drinks in one brief “sitting.” By many student benchmarks, this pattern may not seem problematic and certainly does not conjure stereotyped images of the late-stage alcoholic stumbling through a two-day bender. And that’s part of the dilemma: Even seasoned experts cannot reliably predict who among today’s college-age bingers will continue their downward spiral into alcoholism. What researchers do know is that most college students eventually “mature out” of heavy drinking. But many do not—and their numbers are staggering. Many heavy drinkers exit the dangerous college scene only to enter an equally dangerous pressurized “real world,” where powerful cultural and environmental forces sustain their abusive patterns. Research underscores just how deeply rooted the greater American culture of binge drinking is. Consider this statistic from the CDC: Despite extensive public education, adult binge drinking between 1993 and 2009 rose significantly in 20 states, stayed level in 29 states, and declined in only two states. And just as some universities are perennial “party schools,” so too are some U.S. states. According to the CDC, nearly 25% of Wisconsin adults are binge drinkers vs. about 7% of Tennesseans. (The largest concentration lives in the Great Plains and Midwest.) It’s no wonder that in 2002, the Harvard School of Public Health estimated that 30% of adults would have significant, persistent alcohol problems sometime in their lives, either as alcohol abuse (17.8%) or alcohol dependence (12.5%). One marketing trend of concern for University of Minnesota School of Public Health researcher Toben F. Nelson, ScD, is the proliferation of cheap, fruity energy drinks loaded with alcohol and caffeine. The Pabst Brewing Company shrewdly hired rapper Snoop Dogg as pitchman for its 23.5-oz cans of Blast by Colt 45 and sold in such youthful flavors as Raspberry Lemonade and Strawberry Watermelon. Emergency department physicians know well the potentially deadly synergistic effect of mixing two powerful depressants, such as ethyl alcohol and either barbiturates or opioids. Also of concern, some students binge drink while on psychotropic or allergy medications. This explains why many observers liken the stalled Amethyst Initiative and its goal of lowering the legal drinking age to 18 to that of “pouring gasoline to put the fire out.” Only about 5% of the nation’s college presidents back the proposed initiative. Today’s climate of binge drinking is further exemplified by the rising popularity of numbered drinking games, such as doing five, 10, even 15 shots, or participating in “21 on 21” birthday celebrations. Regarding the latter, a four-year University of Missouri survey of 2,500 students released in 2008 found that 34% of male students and 24% of female students consumed 21 or more drinks on their 21st birthday—in one rip-roaring, shot-slamming fare thee well. Of the 79% of students who reported ill effects of doing so, nearly 40% could not remember how they got home that night. The implications are clear: For many college students, binge drinking is no longer a pastime so much as a raison d’etre. Just 15 years ago, the university president who sought to tame his or her school’s Wild West party culture often resorted to clumsy improvisation since the resident knowledge base on alcohol intervention was practically nil. Two landmark research projects changed that. In 2001, the Harvard School of Public Health released its latest College Alcohol Study, providing a disturbing image of campus life. The following year, a blue-ribbon task force convened by the National Institute of Alcohol Abuse and Alcoholism issued a set of evidence-based guidelines for reining in excessive drinking. At long last, administrators had the road-tested tool kit they needed. But today, some 10 years later, Nelson proclaims that “not much has improved,” and Harvard researchers agree. From 1993 to 2005, the rate of heavy drinking at colleges rose 16%. To be sure, not all administrators face similar challenges. Some schools, owing to a relatively benign environment, enjoy low rates of alcohol abuse. But others—especially big universities with powerhouse sports teams, active Greek systems, and a “best party school” title bestowed by the Princeton Review—are boot camps for heavy drinking. Today, when college alcohol programs fail to deliver positive results, it’s often because administrators have instituted timid half-measures, sometimes because they believe nothing really works and sometimes out of fear of upsetting the alumni apple cart. Clamp down too hard on a school’s beloved traditions and students are apt to vote with their feet—a prospect that sends the bean counter in college trustees into a tizzy. On the plus side, Nelson notes there’s “strong evidence for brief intervention, motivational interviewing, expectancy challenge, and one-on-one counseling interventions for college students.” Brief intervention can be effective, he says, but it’s a costly model and misses many heavy drinkers. In his research, Nelson found that of more than 730 colleges surveyed, all had implemented some form of alcohol education targeting first-year students, sorority/fraternity members, and athletes. And states with tougher alcohol control laws, such as mandatory keg registration; restrictions on happy hours, open containers in public, and advertising; and tough DUI laws, have fewer students who binge drink. 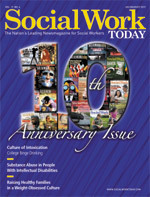 In 2010, Richard McGaffigan, MSW, program director for the Prevention Research Center of the Pacific Institute for Research and Evaluation, co-led a massive study that sought to evaluate the effectiveness of a comprehensive campus-community intervention at 14 California universities and colleges. The objective was to reduce intoxication and harm at off-campus parties. The greatest reductions in heavy drinking, his group found, were seen on campuses that enhanced enforcement of alcohol control measures (eg, DUI enforcement; sales to minors; nuisance party ordinances) and maximized publicity about those enforcement operations. The most effective deterrents included party patrols, DUI enforcement, distributing safe-party brochures, cautionary articles placed in student newspapers, and Web information. But the X factor among the best programs, McGaffigan says, continues to be “maximizing implementation or ‘dosage.’” Translation: Party schools need to crack down hard on binge drinking. Partnering with community stakeholders is key to the success of the drinking-reduction initiatives of Jonathan C. Gibralter, PhD, president of Frostburg State University in western Maryland. Upon assuming the institution’s top seat five years ago, he quickly learned that tunnel vision dooms intervention efforts. Frostburg’s systems model engages faculty, staff, students, and parents along with law enforcement, the county liquor control board, landlords, servers and distributors of alcohol, and key government officials. In keeping with the risk-reduction paradigm, Frostburg offers comprehensive alcohol education and alcohol abuse prevention. Recently, Gibralter says he began requiring faculty to teach classes on Fridays, “so students are less likely to go out Thursday night, drink too much, and make it a three-day weekend.” At key times throughout the year (eg, homecoming, spring break, graduation), Gibralter pens a letter to parents suggesting they “have an adult conversation with their children about heavy drinking.” School officials may also choose to involve parents if their children commit on- or off-campus infractions. • a requirement that incoming freshman take the highly rated prevention program AlcoholEdu. For the University of Georgia, the challenge may be far harder. In 2010, the Princeton Review singled out the Athens campus as the No. 1 party school in the nation—a title that no doubt gave administrators heartburn. Getting students to reflect on the consequences of heavy drinking, brawling, and drunk driving is the job of University of Georgia counselor Courtney F. McVey, LMSW. Working in the John Fontaine, Jr. Center for Alcohol Awareness and Education, she provides counseling to students referred because of on- and off-campus offenses. Lower-risk students, she notes, typically get steered into a 10-hour educational program called “Prime for Life.” Those assessed at higher risk are assigned the “Basics+” program, usually consisting of four sessions of risk assessment, personal reflection, goal setting, and review of success strategies. When Purdue University hired health advocacy coordinator Tammy Loew in 2002, the school newspaper mockingly depicted her “as wearing a Woman’s Christian Temperance Union hat,” she recalls today with a chuckle. Sensing fixed battle lines, the health communications professional began breaking down barriers. Much like Gibralter at Frostburg State University, she partnered with the student government and other community stakeholders. In time, suspicion melted away as the group recognized their common ground and mutual goals. Part of Purdue’s strategy is to normalize the choice to abstain from alcohol. Toward this end, university officials stage fun, alcohol-free events year-round that offer healthy alternatives to Jell-O shooters and flaming Jager bombs. Events include midnight pancake breakfasts, strongman-themed competitions, concerts, and free bowling. Last year, the program attracted more than 15,000 students. Colleges need to firmly commit and heavily invest, if they hope to smooth the rough edges of a binge drinking culture, says Loew. “Today, we see a different culture than in the 1970s. There’s this extreme drinking-and-drugging culture. It’s really dangerous,” she says. — Matthew Robb, MSW, is a freelance writer residing in suburban Washington, DC. Drunken, brawling teen girls in England. Young Spaniards turning to “the big bottle.” A massive wave of heavy drinking among Scandinavian youth. A raft of studies raises troubling questions about the soundness of the traditional (and seemingly sensible) European practice of modeling responsible alcohol use to young family members, this amid a flurry of reports of widespread binge drinking among young people in Ireland, Great Britain, Iceland, Sweden, Norway, Finland, Germany, Austria, Spain, Portugal, Italy, Greece, and Romania. Even France which long faulted British overindulgence for its cultural failings, today publicly wrings its hands as its young citizens binge en masse at Facebook parties, resulting in widespread public intoxication and vandalism. In Italy, one in three college students reports drinking in binges. In Spain, notes The Sunday Times, the “shame” long attached to public intoxication has vanished—replaced by a “badge of honor.” In Britain, dubbed by many as the binge drinking capital of the world, observers say binging is now a “fashion phenomenon” driven by copycat behavior. In May, the School of Nursing at the University of Minnesota released a study that for three years looked at nearly 2,000 seventh graders, with one-half in Australia and the remainder in Washington state. The findings: Teens who drink with a supervising adult at home are more, not less, likely to develop alcohol problems.